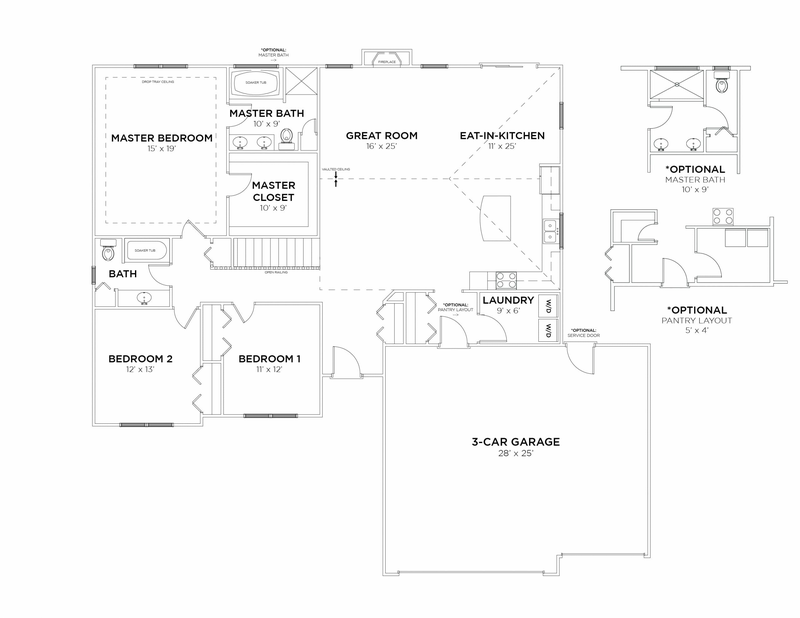 The first step in picking a floor plan is to identify the needs of your family. How many bedrooms and bathrooms you will need for people living in and visiting the home is a good place to start. In addition to the bedrooms and bathrooms, you will want to decide if you need any special interest rooms. Do you need an exercise space, hobby room, or an office? Do you want to finish the basement for a playroom or movie theater; or a bonus room that doubles as a guest space? Once you’ve identified all the rooms that you need, try to imagine yourself moving from room to room, starting from when you walk inside. Do you want a drop zone in the mudroom or a large foyer with space to collect shoes and bags? Do you prefer an open concept with vaulted ceilings or a more cozy feel with coffered ceilings? Some families choose a home with more secluded bedrooms to allow the little ones to sleep while still being able to entertain after a dinner party. Sometimes, it is easier to walk a floor plan to figure this out. If you visit either of our model homes in Sycamore, IL or LeClaire, IA, you have the chance to walk through the existing model homes and any available homes we have as well. The size of your home goes hand-in-hand with your family’s needs. 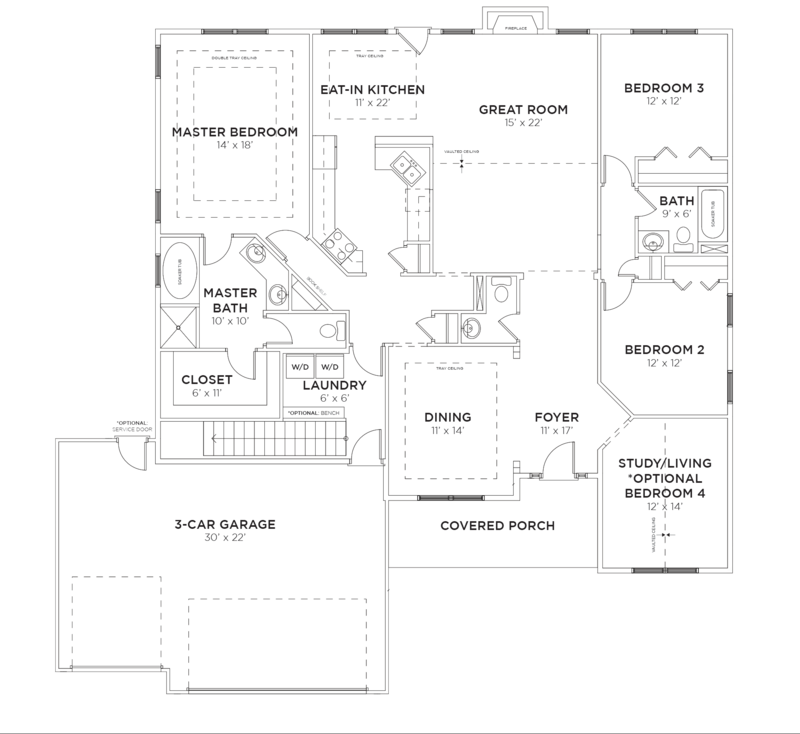 After identifying how many bedrooms, bathrooms, and other spaces you need, you can look through our floor plans page to match these numbers with our available plans. You may choose to narrow down if you would prefer a ranch or a two-story home and then look for a home that matches all of these specifications. If you have furniture you plan to move with you into the new home, you may want to examine how and where it would fit best into the floor plans you have identified as favorites. Large items like your favorite chair, a piano, or bedroom set should be taken into consideration. You don’t want to be moving into your home and discover you need to buy new furniture because what you have doesn’t fit!